“The Cockatoos Are Rising” – A Prophetic Word for Australia. A Dream: I had a dream of 5 Cockatoos rising and flying upwards. There was a sense of freedom and rightness and it was beautiful to watch. The whole scene was full of colour and alive with expectation. I believe the 5 Cockatoos represented a new and emerging apostolic movement and grace that was uniquely Australian rising up. This new move embodies life and freedom. There was a sense of rising hope and bubbling expectation. In studying it out, the great majority of all cockatoo breeds come from Australia, although some breeds are from other nations around the world, especially the Pacific Islands and Asia. However, though the cockatoo is not entirely Australian in origin, the cockatoo is however widely accepted in country Australia as being a much loved part of the Aussie environment. They are colloquially referred to as “cocky’s” and known for their loud squawks and “talking”. In this regard, cockatoos are very much a unique and loved part of the Aussie landscape. The cockatoos were all white in the dream which speaks of a sense of integrity and purity of this next move. The 5 cockatoos represented a fresh grace of apostolic government and order, and leadership. Refining alignment with kingdom purposes as Australia comes into a new season of stepping into destiny. There is a grace on Australia right now to step into a season of apostolic alignment with Kingdom purposes. Long held promises and words are being activated from hope to faith as the nation shifts into our call. We are rising into new apostolic maturity with ease and grace. Australia has long been prophetically known as “the great southland of the Holy Spirit”. In this season I see things shifting as we “enter into” this promise with renewed faith and take action to BE this declaration. Grace is on our nation right now to rise up into an apostolic call of leading revival and raising up revivalists to the nations, with specific influence into the Pacific Islands and Asia. Australia is called to lead the way and be known for mighty exploits of the Holy Spirit. Grace is on Australia for apostolic ventures to come to the fore and will rise quickly. God is raising up many father hearted apostles in the wider church that will be known for valuing integrity. An apostolic movement of governmental order that carries an Australian prophetic message and sound, with new levels of apostolic authority is rising. This Australian apostolic move rising up will have freedom, integrity and purity as its marker. This is a nation wide move. There will be a sense of “finally” we can take off as a nation. The cockatoos ascended quickly and with ease in the dream, just as I believe this will be a quick work the Father is doing and His grace is on it. I believe this new move is uniquely Australian in flavour, design and vision. It is important to note that for these purposes, the Aussie voice I’m speaking of has little to do with ones country of origin, and more to do with a maturing process of Australia rising into the fullness of its apostolic authority and prophetic destiny. Unhealthy inferiority and “little brother complex” is being broken. An urgency to take responsibility for revival in our land will grow. This move will embody all that is “Australian”, a fusion of Aussie culture, flavours and sounds and carry a raw, authenticity of sound rising up from the very land. The fusion of many peoples is part of what makes Australia unique. However, it is time for the Australian church to rise up and own and decree our own prophetic destiny. It is not just time for the Aussie apostolic voice to rise up, but there is grace and urgency to do so. There will be suddenlies as God promotes, shifts and releases a new breed in this nation. A grace exists for the releasing of a “matured and grown in the secret place” body of apostolic authority and integrity. This will release a fresh move of Australian revivalists rising up and a wave of awakening across the wider church. The Aussie Revivalists are rising. There will be a fresh wave of purity, freedom and joy over this nation. I see an “army” of revivalists marching across this nation and joining forces with each other. I see as this army marches the dry bones rise up all across the nation. But a marker of this army is joy. Many who otherwise would ignore their message are drawn in as they are “full of joy”. This joy becomes a weapon and literally raises up dry bones. Wherever this army of revivalists marches, the dry bones rise! I see old chains and strongholds of governmental control in many spheres that has squashed freedom being broken. I see the stronghold of unhealthy control being revealed and toppled. A spirit of control and constriction is losing its grip in Australia. There has been a season of intensified warfare as this topples and shifts. Prayer has been highlighted as an essential tool during this season to shift heaviness and release joy. Many have felt as though they are losing ground before the “tsunami” wave of His glory washes over the land. This is not the case. As in the natural before a tsunami wave hits, the waters recede. This is so the wave can gather full strength and power when it hits. This sense of the waters receding is a discerning of things shifting for the purpose of this next wave of glory gaining exponential strength and intensity. No ground has been lost, there has just been an unsettling sense as things are shifting in preparation for the next wave. God is giving grace in this moment for the leaders of leaders, and the harvesters of the harvesters to take a moment and regroup and prepare for the when the glory wave hits. He is revealing strategies and areas to fortify or clean etc. God’s grace has been preparing us for the “more”. Preparing us to steward His presence well. There is a grace right now to prepare and equip the harvesters of harvesters. During this short season, the enemy’s greatest tactic will be to heap discouragement and weariness and hopelessness on God’s people. He will lie saying we have lost ground and spew out discouragement. We must press into joy. Joy is our weapon. Joy is a fruit from heaven to his children. Joy doesn’t have anything to do with circumstances but is a gift from the Father. The truth is the Father has been preparing us in His grace, and the strategies we have learnt and character grown during this past season has prepared us well to steward all He is about to pour out with intensity. The wave of revival is gathering strength and will imminently crash over us. We have not lost ground. We have gained character and strength to steward the very thing we have been crying out for. Interestingly, the name cockatoo originated from the Indonesian Malay name for these birds, being “kakatua”. “Kaka” means parrot, and “tua” means older sister. This fresh move of His glory will have a strong presence of apostolic women rising up. There is a brave new breed of Aussie women being released and suddenly rising up that will carry a great authority and power on their prophetic voice. I see remarkable and notable miracles breaking out led by revivalist women. A fresh authority is coming on women right now. An army of revivalist women that carry true apostolic power is rising. Grace is on women to break off constraints and rise into their destiny. This move extends beyond Australian shores, as God is doing this in the nations right now. However, there is grace on Australia, New Zealand, the Pacific Islands and Asia just now for women to enter into a new season of power and authority that will astound many. God is raising up his revivalist women and they will be marked by notable miracles breaking out and intense waves of glory breaking out. There is a rare and little known cockatoo breed found in the Northern tip of North East Australia known as the Palm Cockatoo. They have a unique way of communicating over long distances by drumming on a dead branch with a stick. Yes, drumming. They hold a stick and drum and communicate in this unique way. As these cockatoos beat their drum it is thought that they communicate and mark their territory. I see a new sound coming up out of the land of Australia. It will carry a sound that calls in a harvest and awakens the nation. I hear a sound that is uniquely Australian rising and encompasses an authentic cry from the land and its peoples. It will awaken a nation. This sound will “mark” our territory and do warfare in the atmosphere. The deep cry coming up out of the land will release an awakening sound that calls in a nation and speaks deep to our spirit. The toppling of the snake. A dream: Previous to this cockatoo dream I had a dream of a very large snake on top of some cupboards. The snake was really large, and the cupboards comparatively small. Consequently the cupboards looked like they were shaking and about to fall and the snake about to topple off. The whole scene was dark and felt uneasy. I believe the snake represented a deceptive spirit of control that has long been exerting influence from a high place over the natural government in Australia and was about to topple. In part the cupboards represented “political cabinet”, but I believe this toppling of the stronghold in high places extended further than politics. A deceptive influencing power had lorded over “cabinet” for too long and was being revealed and seen for what it was in this season. This stronghold over the entire nation was shaking. Things would be “seen” with fresh light revealing heart attitudes and ulterior motives so integrity can rise. This was not about a specific political party in government, but rather a revealing and ousting of a stronghold of deceptive control that was squashing freedom and life. Hidden agendas and control were coming to light in many spheres of influence. There is a grace for leadership to rise that carries integrity and purity of heart as values. This would impact the nation as a whole, with a fresh sense of freedom and life being released over the church. There is a toppling of long standing control and unhealthy thinking that had not allowed for His spirit to move in freedom coming on the church. As this happens, joy will return as a marker of His kingdom. As this shaking happens, many levels of community will be impacted. Corporate Australia will be impacted as God shines light on structures and deceptive thought processes that bring unhealthy control and constriction of life. There will be an intensified season of light shining and revealing this stronghold. Things are shaking in this nation. This season will be marked by suddenlies as His Spirit is poured out in intensified glory. It will be an intensified season of light and dark as both are revealed and seen with fresh discernment in this nation. 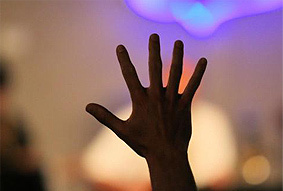 A Call to Intensified Prayer for Revival in Australia. In the dream, the snake was revealed and there was a sense of impending shaking and toppling of this stronghold over the nation. There was a sense to pray and decree with renewed passion and vigour for the rising of a new day in Australia. A fresh move of His Spirit was imminent. A fresh sense of freedom and joy rising. A powerful move of His glory , with a fathers heart for our region. A mature Australian apostolic, prophetic voice that fathers this next move with great integrity. This Aussie move of God will be marked by freedom and joy, and apostolic maturity, integrity, and life flowing with ease. This Australian move will be known for the Fathers heart exhibited and a true expression of grace. Powerful miracles will break out. A new breed of leadership is rising. Its time to decree his grace over the Australian church and leadership, and his purposes and divine alignment. Decree that the Aussie prophetic voice would rise up with increased power and authority to shift and decree “on earth as it is in heaven”, in this nation, in this hour. This has already begun, however I see a transformation of the wider church landscape and a fresh wind blowing. We are called to pray with intensified hunger for an Aussie nation-wide awakening. A fresh wind is blowing. An Aussie father hearted apostolic move is rising up that will impact the nations and father with humility a glory move over the islands and Asia. Revival is breaking over our shores and the waves are increasingly getting stronger and more intense, however a tsunami wave of glory is on the horizon now. A nation shaking awakening that has long been prophesied is imminent. The huge breaker wave is but just off shore. This nation will see a move of God like never before that is authentically Aussie and grows a mature father heart of honour for our surrounding nations. I see a harvest of Australians about to come into the Kingdom. This move will carry rising hope, joy and true freedom. The cockatoos are rising! The Australian church is rising to new heights with ease of His grace! An updraft of His wind will take us higher into encounters of His glory. Revival is breaking… Australia get ready. There has been a long held belief in Australia that Aussies are hard to reach with the gospel. Traditionally this has partly been the case as Aussies, generally speaking, have resisted religion and been hard hearted toward the gospel. I sense a season shift. Its harvest time. If we hold onto our long held belief that Aussies are hard to reach, we will miss the season change. The Father has prepared the hearts of Australians and they are RIPE for the harvest. Hearts are hungry for a real and authentic encounter with a powerful and real God. This next move must acknowledge that Aussies are ready to be harvested. There is a season of grace to train the harvesters and harvest the crop. We must pick the crop before it rots on the tree or worse, someone of a different message comes and picks our harvest. Authenticity is essential. Supernatural power, healings and miracles are essential. Australians have been made ready not for a religious encounter but for an encounter of power and authentic love with a real Father. The harvest is not 4 months off as you suppose. Our mindset must shift. This nation is ready to be harvested. A fresh season of evangelism will break out. We must WAKE UP and change our thinking. There is an army of harvesters waiting to be awakened and activated. And there is a harvest ripe for the picking. Get ready. Revival is breaking. An Aussie move of God is ours to enter into. These verses have been a part of our personal decree over the nation for many years now. I believe these verses are coming into NOW kairos significance. Awakening season is upon us. God is going to wake up Australia (and the nations). We are being awakened from our slumber. This move will be marked by HIS BREATH driving it along. God is doing it. God has decreed it. God is awakening our nations. The pent-up flood of his glory will awaken our land and God will drive along this move. No person or spirit can detain or stop what God is driving along. This land will see a pent-up flood of his spirit and be awakened. We will taste and see revival. Photo by David Rowsome of Tapestry in Great Hall of Australian Federal Parliament. 3 Responses to “The Cockatoos Are Rising” – A Prophetic Word for Australia. Amen Amen Amen Amen. Yes Ready I have been receiving prophetic psalms which support this. Wow – every single part of me resounds to the truth of these words and I am excited beyond description! Praise our wonderful Father for his amazing plans and how He fulfills them through us all! Amen! Your words Father will prosper in the thing they are sent forth to do, or all who read this message. May all that You have said manifest in Your timing. Let it be as You have spoken. Amen. Amen.